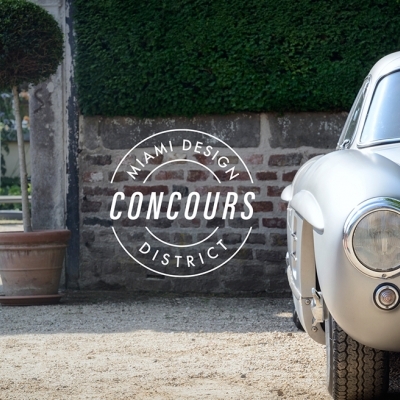 Join us for the inaugural Miami Design District Concours, a free day-long exhibition of 125+ exotic and collectible automobiles that will be judged by a panel of the country’s premier experts and historians. Paired with world class watch brands making their American debut at “Watches & Wonders,” the Miami Design District Concours will host the world’s rarest Post War sports, exotic and racing automobiles featuring icons such as the 1967 Ferrari 275 GTB, 1988 Lamborghini Countach, 1956 Mercedes 300SL Gullwing and many more carefully selected from prominent collections from around the country. The Miami Design District Concours is part of the “Watches & Wonders” hosted by Fondation de la Haute Horlogerie (FHH) and the Miami Design District). The “Watches & Wonders” event, running from February 16-19, will be a first of its kind in Miami, bringing together nearly two dozen of the world’s leading time piece manufactures. EVENT IS FREE AND OPEN TO THE PUBLIC. RSVP HERE.